Cinthia Hiett is an accomplished relationship experts, psychotherapist, and motivational speaker with over 20 years experience as a Licensed Professional Counselor. Her education includes a Masters Degree in Counseling and is in process of completing her doctoral work in Human Services in the College of Behavioral Sciences. With a passion for helping men and women understand relationships and gender differences- She is widely recognized as a speaker sharing inspiration and relevant teachings, presenting Biblically based seminars internationally, and lectures on relationships, gender, and other inspirations. Currently hosting "Conversations with Cinthia" on Blog Talk Radio and AM 1360 FaithTalk, Cinthia teaches men and women how to thrive in relationships at home and work, as well as how to truly understand the hardwiring difference’s between men and women. In the past she has hosted similar radio shows to include, “People Talk” on 960 AM KKNT, KFNX 1100 AM, and “Singles Talk” 960 AM and “Match Know Match” on KXXT 1010 AM. She has been interviewed as an expert clinical practitioner for several TV programs to include The Pat McMahon Show and Sonoran Living. As a featured vocalist and relationship expert, she has enjoyed being on the Trinity Broadcasting Network. She has also been interviewed by the Arizona Republic for her commentary on the relationships of celebrities and VIP’s. Cinthia shares her creative side as an accomplished singer and songwriter, and has produced three CDs, as well as being an ordained minister. Her artistic talents also include performing at weddings and serving in the music ministry to local churches as a soloist, keyboardist and worship leader. 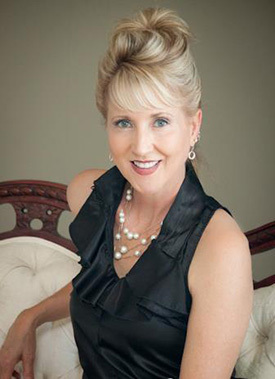 With private practice offices in both Phoenix and Scottsdale Arizona, Cinthia specializes in adult psychotherapy, pastoral counseling, family relations, image management, and helping each person understand their temperament with a personality inventory, using the Myers Briggs Temperament Inventory. Cinthia is available for private and corporate coaching, as well as consulting sessions for individuals and groups. She enjoys helping groups resolve conflict and manage the dynamics, allowing them to work together productively.